React Fix It: Automagically Generate Tests From Errors — Wait for a bug to arise, open the console, copy the test snippet generated, and put together a test to resolve. A Pre-Release of React VR for Web-Based Virtual Reality — React VR’s goal is to enable you to build Web-based virtual reality experiences using the React-style of coding you’re used to. JSX in Depth - An Interactive Tutorial — A version of Facebook’s official tutorial ‘JSX in depth’ using the KLIPSE plugin to make the code snippets interactive. Victory: Components for Building Interactive Data Visualizations — An ecosystem of composable React components for building interactive data visualizations. Demos here. 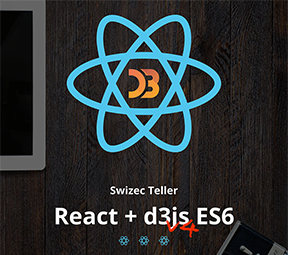 Scaling React.js Applications — In this 32 minute video Max Stoiber talks about how you can scale your React.js apps. React Elements vs React Components — Tyler digs into what initially seems like a simple distinction. A React and Redux 'Simon Says' Game — Repo here.